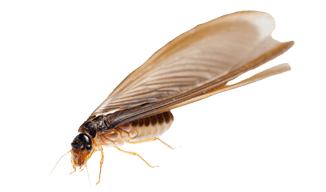 Termite Inspection and Treatment Services From Fresno to Entire Central Valley Areas! Call Official Pest Pros, Central Valley Expert Pest Exterminator, today for a termite inspection of your home* at (877) 609-0046, or click here for an estimate to protect your home against these destroyers, and never have termites over for dinner again. We make it easy to keep your home termite-free for the whole year. You can schedule applications outside normal business hours to accommodate your busy schedule. All Official Pest Pros termite services are backed by our guarantee of 100-percent satisfaction. You can take advantage of preventative and curative treatments as well as ongoing termite monitoring services under our Termite Home Protection Service program. If you experience severe termite infestation, you can contact us and schedule a termite fumigation for your residential property. According to the United States Department of Agriculture (USDA), U.S. residents spend at least $1 billion on termite control and repairs each year. Some experts estimate the number is closer to $2 billion.We assume you love your home. So you can see why wood loving insect pests might be attracted to it, too. Termites infestations left unnoticed can result in major costly damage to your home. These insects snack 24/7 and some species can lay up to 40,000 eggs per day. So it’s important to catch them early. But they often don’t reveal themselves until your wooden surfaces reveal the damage they’ve caused. So how do you catch them? We will continue to expand to provide termite control services to the greater portion of Oakland, and San Francisco Bay areas, as well as other location in the central valley – Visalia, Fresno, and Bakersfield.